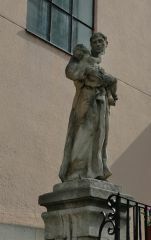 The Capuchins came to Brno in 1604 by invitation of Cardinal Dietrichstein, who also introduced the order to Mikulov as part of his Counter-Reformation enterprises. The original seat of the order, by the Menínská brána Gate, was destroyed in the Swedish siege of Brno in 1645. 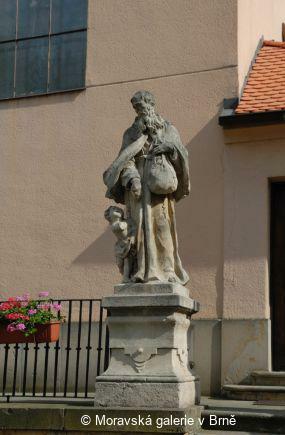 Count Liechtenstein-Castelkorn, Provincial Governor of Moravia, financed the construction of a new Capuchin Monastery in the coal market. 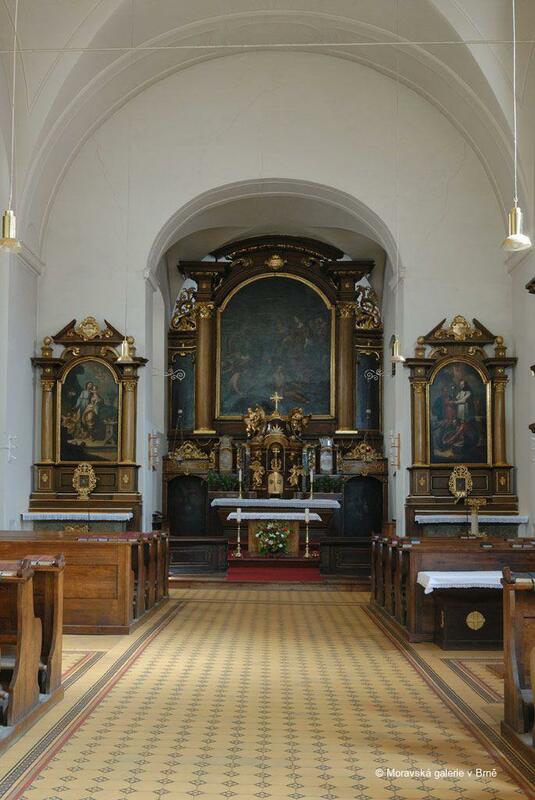 The 18th-century reconstruction of the monastery was designed by father and son Grimm, prominent Moravian builders. 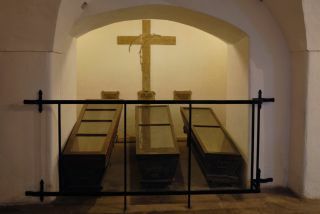 Their house adjoined the monastery and they are buried in the crypt. 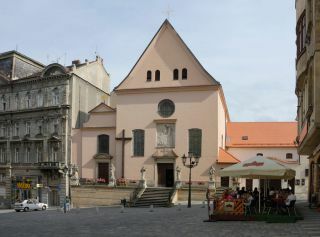 The church, situated below the Episcopal Courtyard, is a single-nave building with a straight chancel. 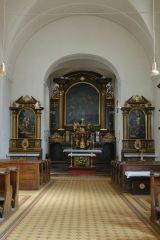 By the east wall are the original Chapels of St. Francis of Assisi and St. Fidelius, which was added later by M. Grimm. A crypt containing mummified bodies, most of them monks, as well as that of Baron Trenck, lies under the church and is something of a tourist attraction. The Capuchins came to Brno in 1604 by invitation of Cardinal Dietrichstein, who also introduced the order to Mikulov as part of his Counter-Reformation enterprises. 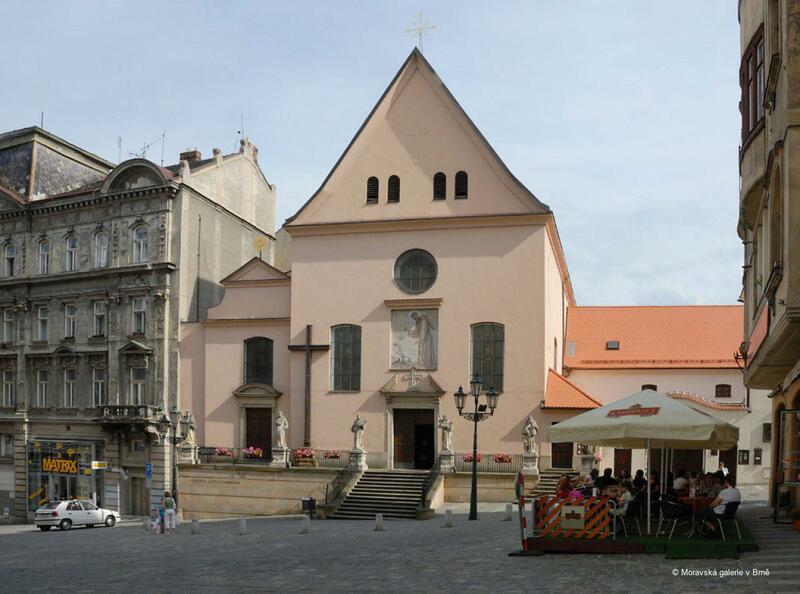 The original seat of the order was destroyed in the Swedish siege of Brno in 1645. Count Liechtenstein-Castelkorn, the Provincial Governor of Moravia, financed the construction of a new Capuchin Monastery. The high altar altarpiece, by the renowned German artist J. Sandrart, is considered the first Baroque painting in Moravia. 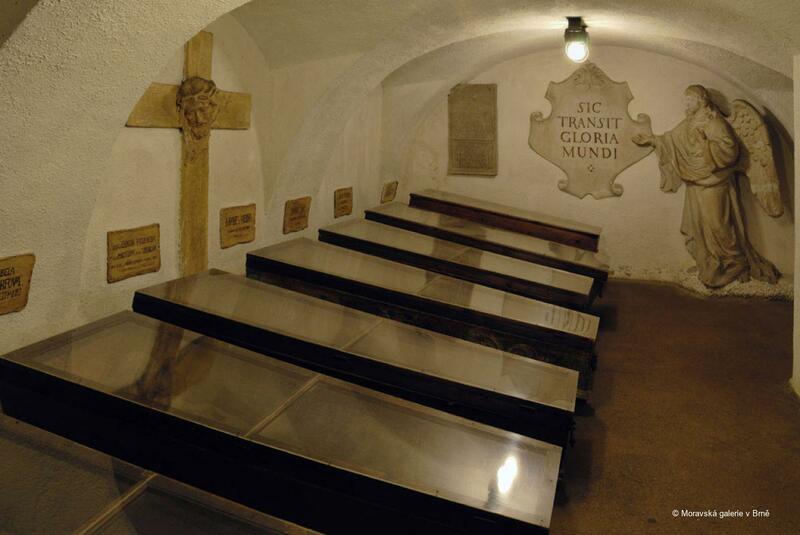 There is a crypt containing mummified bodies, most of them monks, as well as that of Baron Trenck. The paintings by J. Sandrart and J. L. Kracker are signed and dated. The Counter-Reformation activities of the Capuchin order are reflected in this sizeable picture for the high altar. It depicts a key scene in the legend of the Invention of the Holy Cross on which Christ was crucified, showing Empress Helen, the mother of Constantine the Great, as she witnesses the Cross's authenticity; that the touch of the cross brings a dead youth back to life and cures a terminally-ill woman. Behind the empress stands Bishop Makarios. 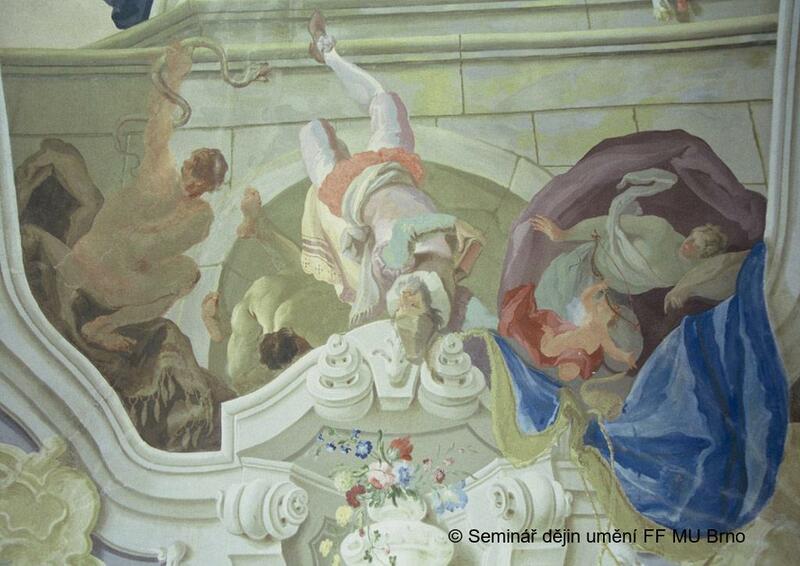 The use of light within the picture makes much of the resurrection, while the rhetorical gestures, artistic rendering of richly varied surfaces and a monumental compositional structure, make for an impressive painting. 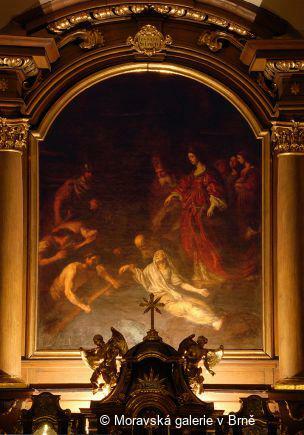 The canvas, considered the first Baroque painting in Moravia, originated at the same time as the Crucifixion Sandrart painted for the Cathedral of St. Stephen in Vienna, which was said to have been commissioned by Count Václav Eusebius of Lobkowitz, one of the most powerful men in the Viennese imperial court. 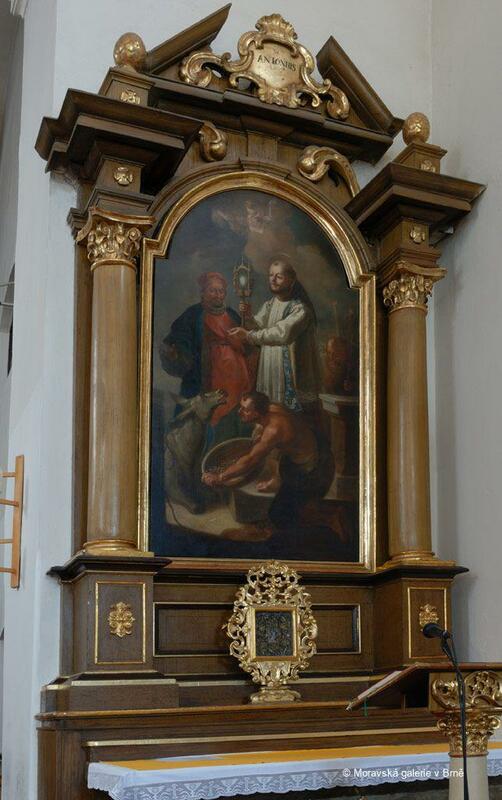 This picture of St. Fidelius of Sigmaringen was first painted by Kracker for the Capuchin Monastery in Znojmo. 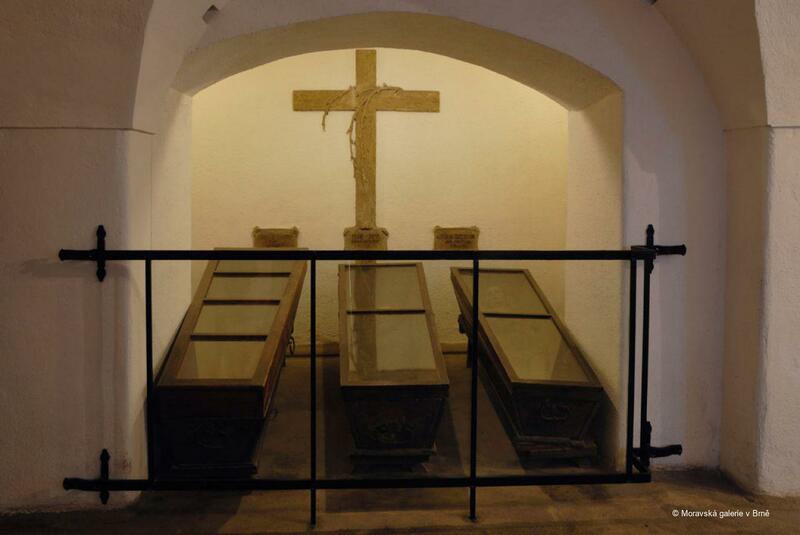 Sandrart lived in the monastery before being summoned to work for the Bishop of Jager. 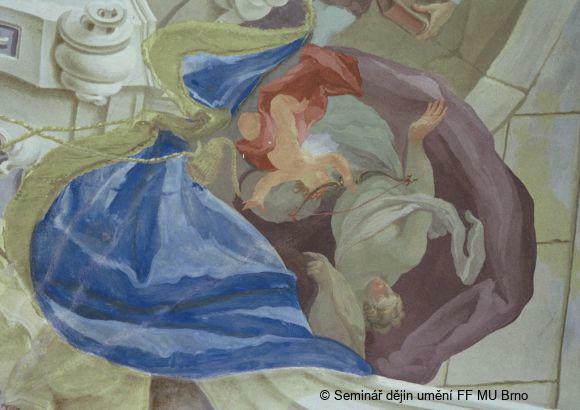 The Brno piece was probably an unfinished painting by J. T. Rotter in whose workshop Kracker worked after graduating from the Vienna Academy. 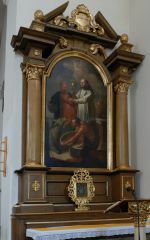 Rotter, who specialised in altarpieces, easel paintings, frescos and decorative wall paintings, was a major figure within the Brno guild of painters. 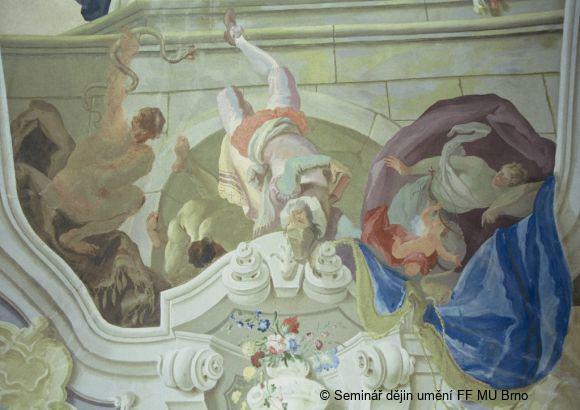 His oeuvre is known from the 1740s, when he worked for the Augustinians and Premonstratensians in Hradisko near Olomouc, although the frescos are not preserved. 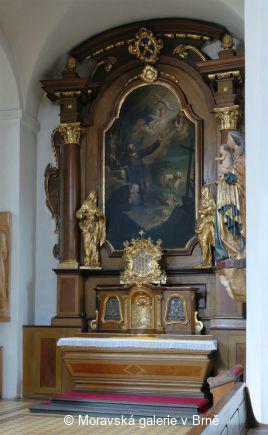 The side-altar picture comes from Rotter’s late phase, when he embraced closed shapes and more simple colour schemes. 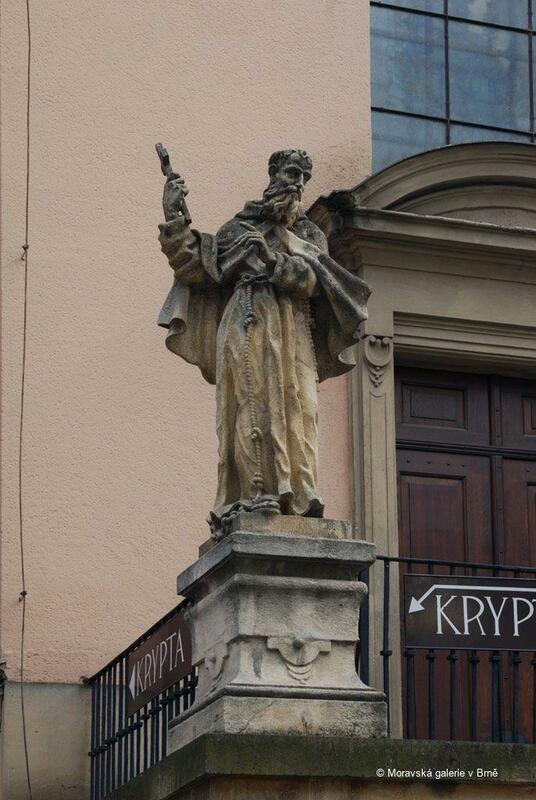 The entrance of the church, in sloping terrain, was adjusted by a terrace with statues of Capuchin saints. 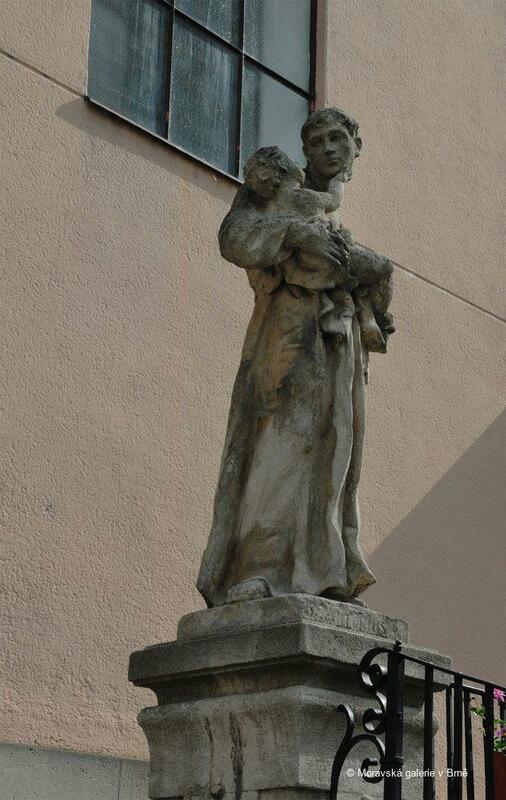 The sculptor, who trained in the Rhine Basin region, worked in the Brno workshop of J. J. Schauberger. His compact figures are noteworthy for their expressive faces. The library equipment was enabled by a generous donation from Baron Trenck who is mummified in the monastery crypt. 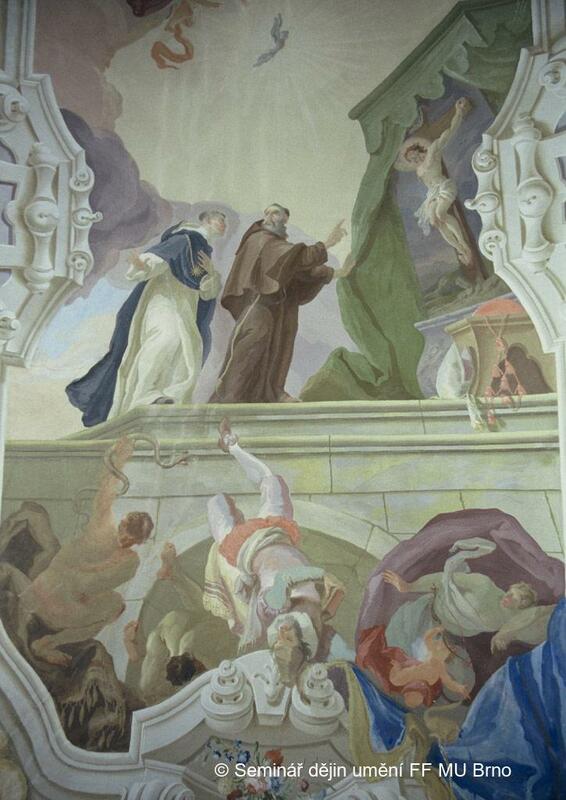 The ceiling painting represents John Bonaventura showing a crucifix to Thomas Aquinas in response to a query as to the origin of the sources of his writings. 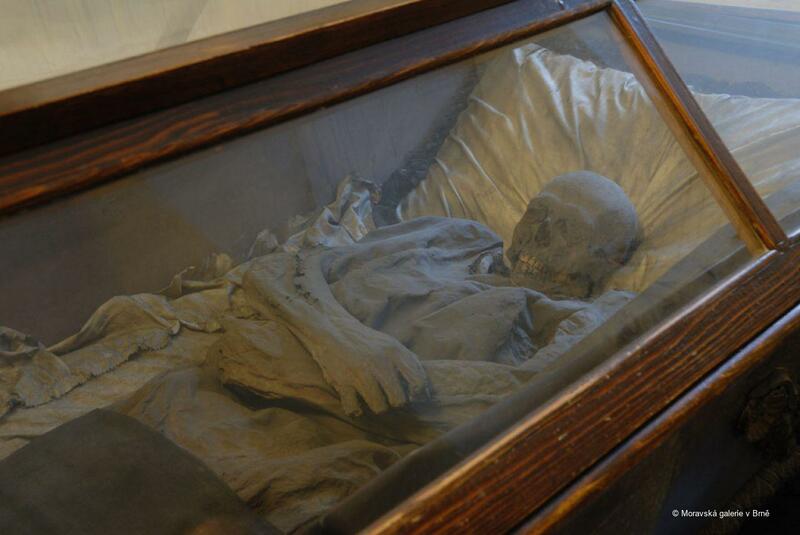 One remarkable item is a human skeleton in a display case amidst the other library cases. The skeleton was used for anatomy studies and also symbolised, within the library iconography, a memento mori. 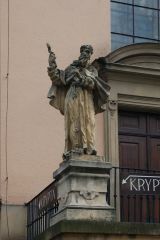 Christian Klemm, Joachim von Sandrart. Kunstwerke u. Lebenslauf, Berlin, 1986, pp. 217–219, cat. 103. Bohumil Samek, Umělecké památky Moravy a Slezska I, A-J, Prague, 1994, p. 204. Ivo Krsek –­­ Zdenek Kudělka (ed) –­­ Miloš Stehlík –­­ Josef Válka, Umění baroka na Moravě a ve Slezsku, Prague, 1996, p. 452. Anna Jávor, Johann Lucas Kracker. 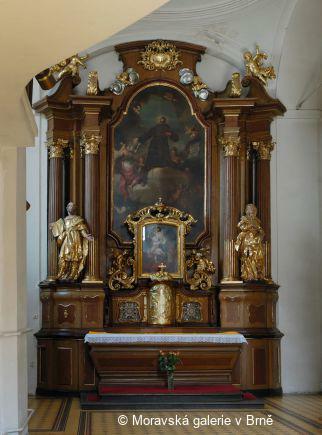 Ein Maler des Spätbarock in Mitteleuropa, Budapest, 2005, pp. 278–279, cat. 201. 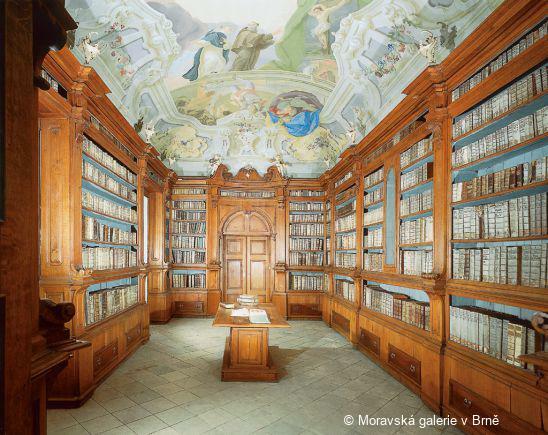 Michaela Šeferisová Loudová, Barockbibliotheken in Mähren, in Martin Mádl – Michaela Šeferisová Loudová – Zora Wörgötter (eds), Baroque ceiling painting in Central Europe / Barocke Deckenmalerei in Mitteleuropa, Prague, 2007, pp. 57–65.